This biennial conference and industry exhibition explores the field of navigation—from fundamental research, to applications, to field test results. 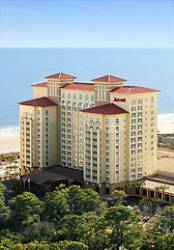 It will take place April 24, 25 and 26 at the Marriott Resort and Spa at Grande Dunes in Myrtle Beach, South Carolina USA. Sponsored by IEEE’s Aerospace and Electronics Systems Society and the Institute of Navigation, participants will learn about sensors, systems, optimal integration of multiple sensors and emerging technologies in navigation. The PLANS technical program is available here. Tutorials take place on April 23, the day before the conference begins. For information or to register, call or email the ION National Office (see below).